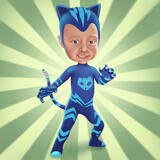 We can build your own Superhero, based on photos and ideas. 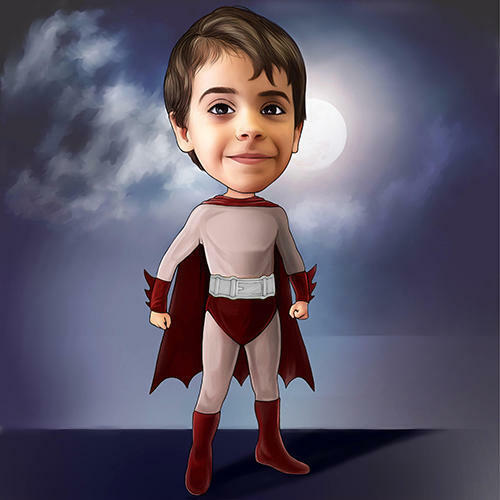 Upload the most lovely image of your child and get him/her drawn in a superhero costume, which our artist will visualize according to mentioned ideas. 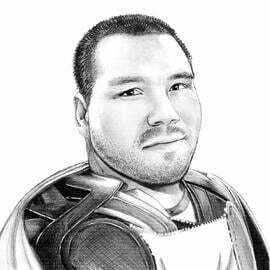 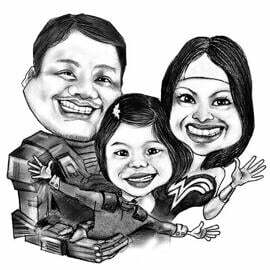 Caricature will be drawn in colored digital style. 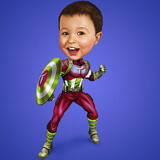 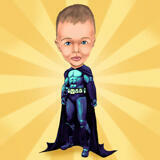 We can add name initials of your child on a costume as well as depict a specific background for a superhero caricature. 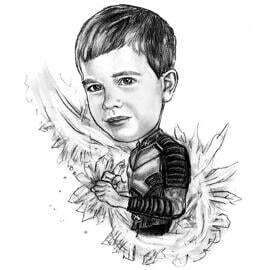 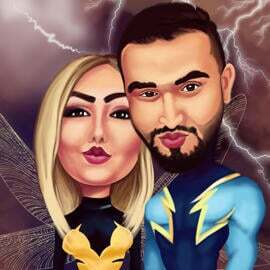 Such an original Superhero Drawing will make a wonderful gift on Birthday, National Children's Day. 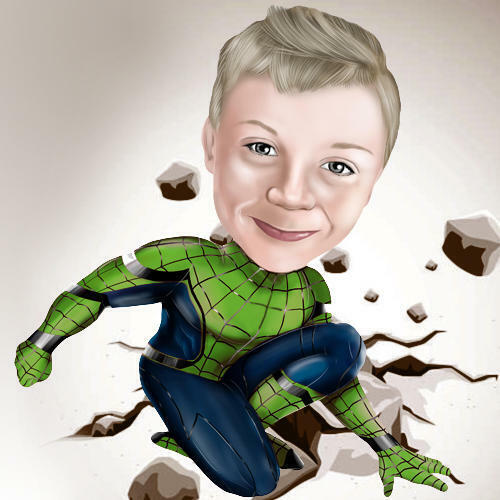 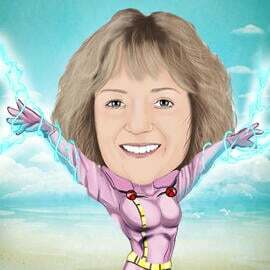 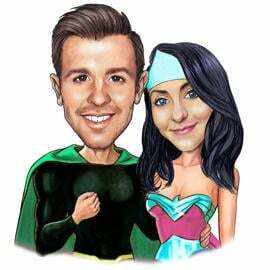 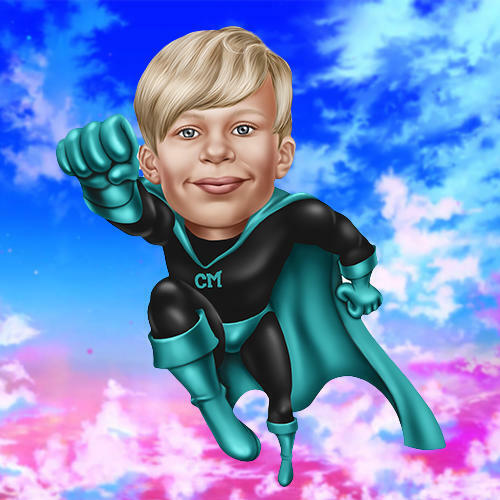 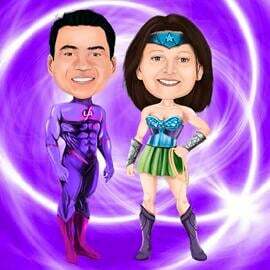 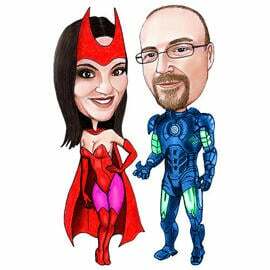 We can print a Caricature of Personalized Superhero on Canvas, Photo Paper or mug and ship to you via Post. Digital Caricatures are delivered as printable JPG File of high resolution. We provide worldwide shipping for each customer.